Distinctive necklace features a 4.1 x 2.6cm. 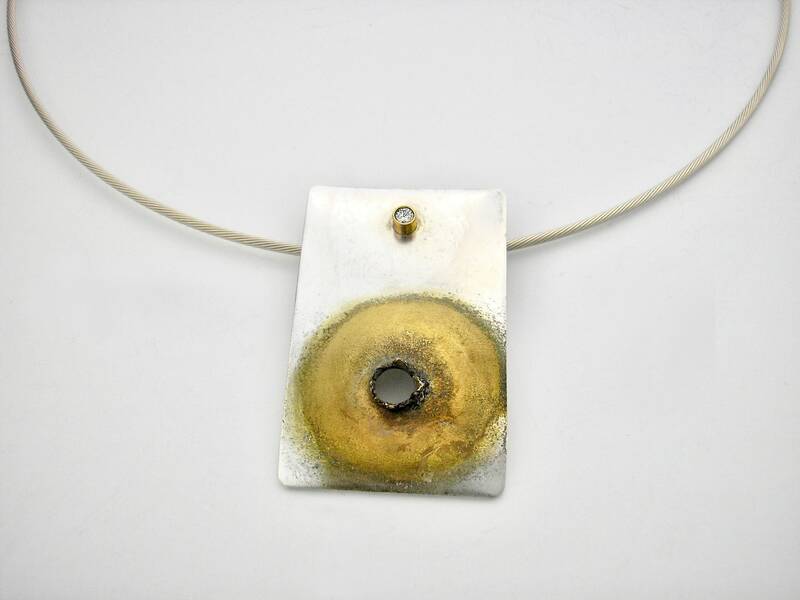 Sterling Silver rectangle embellished with an open “crater” around which has been electroplated with 22K gold. Included is one .05 ct natural Diamond, bezel-set in 14K gold. The necklace is suspended from a 16” Sterling 1.5mm cable neckwire.